Almost 1000 organisations in 49 countries will be taking part in the annual event that sees museum and gallery curators answering the public's questions on Twitter. This Wednesday 16 September sees the return of #AskACurator day – a global initiative aimed at giving the public access to curators and people who work in cultural venues. Participants can get involved by using the hashtag #AskACurator on Twitter. 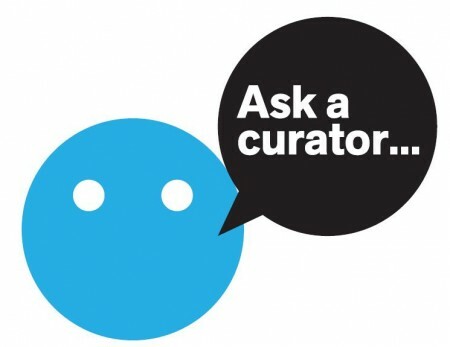 You can ask questions to specific museums using the @MUSEUMNAME or you can ask general questions using #AskaCurator. The annual event, which was launched in 2010, is coordinated by Shropshire-based Mar Dixon, a social media and audience development consultant. A total of 181 high-profile arts organisations and institutions are taking part from across the UK, including the National Gallery, Tate, the Ashmolean Museum, the British Library, Glasgow Museums, the Foundling Museum, Griffin Gallery, Hatton Gallery, Horniman Museums and Gardens, York Art Gallery, Leeds Art Gallery, Mark Devereux Projects, Museum of Oxford, National Portrait Gallery and Derby QUAD. The USA has the most participating organisations, with 294 taking part. These are joined by institutions from other countries across the world, including: Argentina, Australia, Austria, Belgium, Brazil, Cambodia, Canada, Chile, Colombia, Crotia, Denmark, Finland, France, Ireland, Italy, Jordan and Latvia. In total 993 organisations from 49 countries are taking part in the day. Addendum: Since the article was published participation figures have grown to over 1000 participating organisations from at least 50 countries.